Say please! 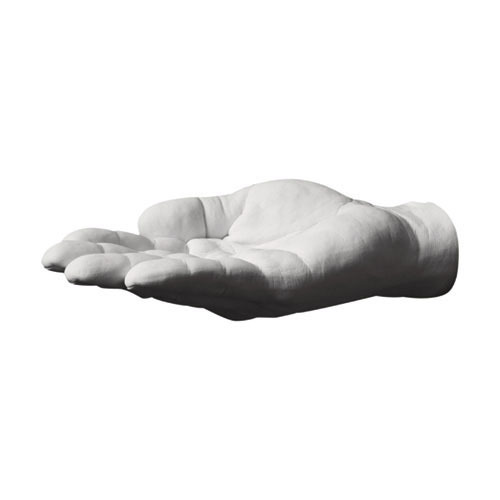 The Offer Hand Hook was designed by Harry Allen for Areaware. Harry Allen's Offer Hand Hook was cast from the designer's hand. The result is a unique and functional new design object for the home. The Offer Hand Hook is a catch-all for keys, change, paperclips, jewelry or any small thing that needs a helpful hand. All Hand Hooks are made of gypsum white resin and marble and come complete with wall mounting hardware. Harry Allen's Offer Hand Hook is a great unique gift idea. The Offer Hand Hook is part of Harry Allen's Wall Hook series which are all based on highly detailed casts of designer Harry Allen's hands. These wall hooks are perfect home accessories.